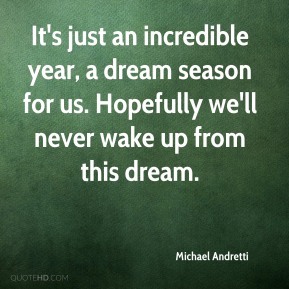 It's just an incredible year, a dream season for us. Hopefully we'll never wake up from this dream. 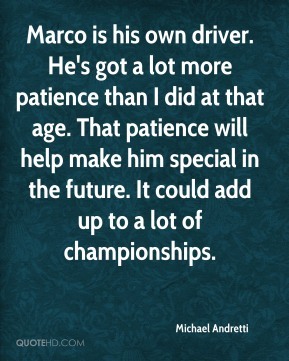 Marco is his own driver. He's got a lot more patience than I did at that age. That patience will help make him special in the future. It could add up to a lot of championships. 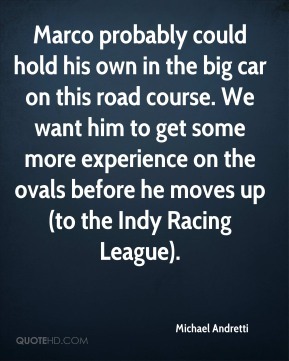 Marco probably could hold his own in the big car on this road course. We want him to get some more experience on the ovals before he moves up (to the Indy Racing League). It was always weird racing against my father. He was a living legend. 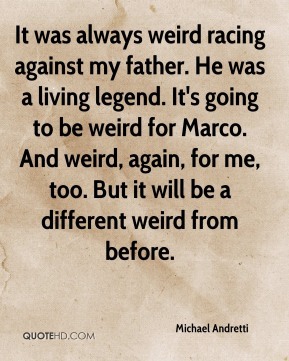 It's going to be weird for Marco. And weird, again, for me, too. But it will be a different weird from before. 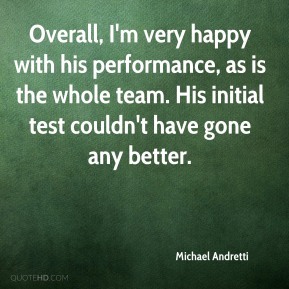 Overall, I'm very happy with his performance, as is the whole team. His initial test couldn't have gone any better. 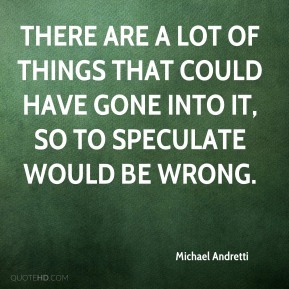 There are a lot of things that could have gone into it, so to speculate would be wrong. Very exciting times for us ... and me personally, obviously, with everything that's going on. I think with the team that we have, it's just been a dream these last three years.